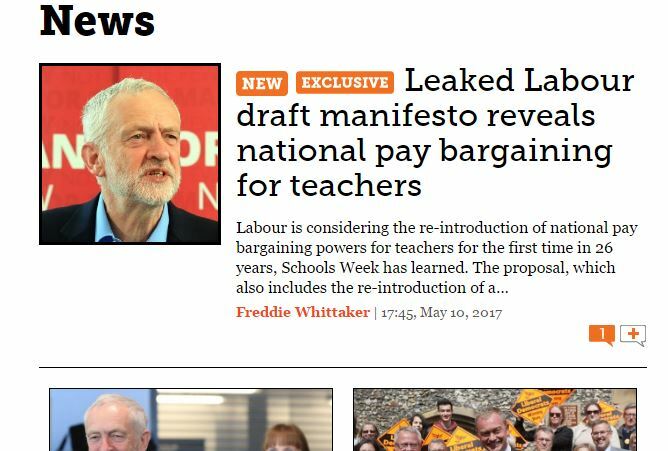 Schools Week scored a major scoop last night when it was first to publish details of the leaked Labour Party general election manifesto. It published a story at 5.45pm revealing details of Labour’s draft schools policies a week ahead of the planned manifesto launch. At 6.17pm the New Statesman’s Stephen Bush tweeted a link to a story revealing a Labour manifesto proposal to ban arms sales to Saudia Arabia. The Daily Telegraph and Daily Mirror appear to have separately obtained the full 43-page document and both published full details shortly after 9pm revealing the broader policy items. On the 10pm news the BBC reported that it had also obtained a copy of the manifesto and a longer story with full details appeared later in the evening. Freddie Whittaker had the story for Schools Week revealing that Labour was considering re-introducing national pay bargaining powers for teachers for the first time in 26 years. It said the draft manifesto had been circulated to senior MPs and party executive members ahead of a meeting today when it would be signed off. The Daily Telegraph and Mirror both appear to have published their stories about the manifesto at 9.04pm. Jack Blanchard from the Daily Mirror tweeted a link to his scoop at 9.04pm. 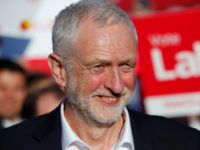 His story said: “Labour will pledge to re-nationalise Britain’s energy industry, railways and Royal Mail in its most left-wing election manifesto in a generation. 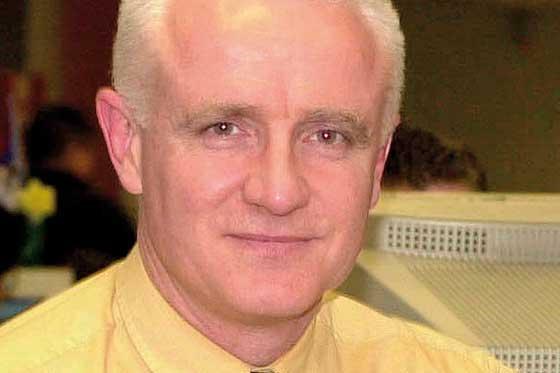 Blanchard appeared on Newsnight later in the evening to explain more about what was in the document for BBC viewers. BBC political correspondent Chris Mason tweeted at 10.33pm that he had a leaked copy of the document. The Guardian also reported that it had seen the document when it published its story just after 11pm. The Guido Fawkes website published the full document shortly after midnight. At time of writing it had been downloaded more than 30,000 times.